Nike has allegedly lost one of its top designers, as the director of the shoe and apparel company's research and development studio, responsible for the FuelBand fitness tracker, has reportedly left Beaverton for Cupertino. While customers and investors clamor for Apple to enter the wearable devices category and speculation about an "iWatch" mounts, the iPhone maker has snapped up another subject matter expert, according to 9to5mac. Ben Shaffer, formerly the Studio Director of Nike's Innovation Kitchen, the research and development laboratory that created the popular Fuel Band fitness tracker and lightweight Flynit running shoe, has reportedly taken up a new position at Apple. 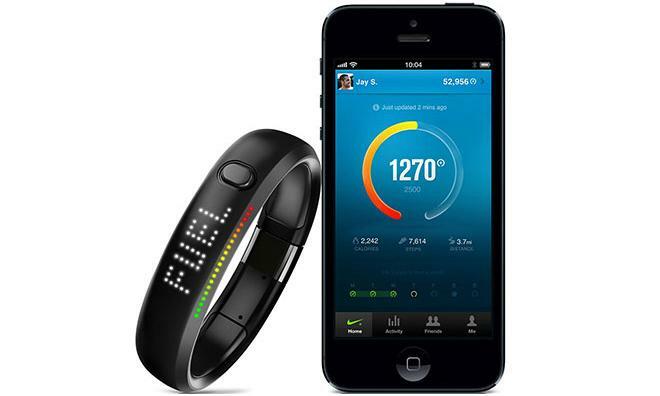 Shaffer's departure, if true, comes just months after Apple reportedly hired another of the top minds behind the Fuel Band, fitness expert Jay Blahnik. The two hires, when placed next to other recent enlistments from the "non-invasive medical sensor" field, point to a significant increase of interest in wearable technology inside 1 Infinite Loop. It remains to be seen whether the defections will alter the notoriously close relationship of collaboration between the two companies. Apple has long included Nike+ integration with its iPod and iPhone lines, and Nike was granted early access to update its apps to take advantage of the iPhone 5s's M7 motion coprocessor.